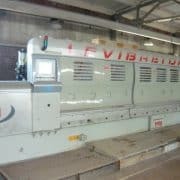 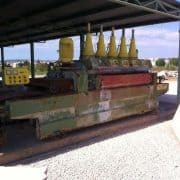 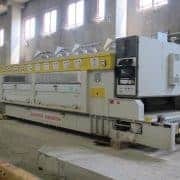 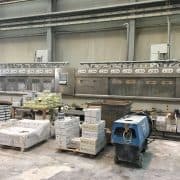 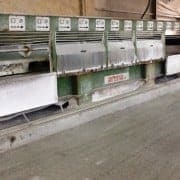 List of used polishing line machines for the marble or granite. 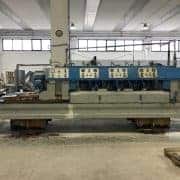 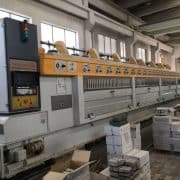 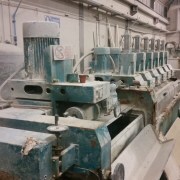 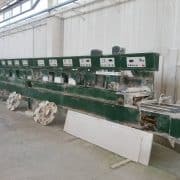 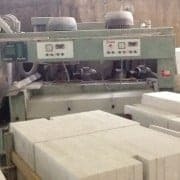 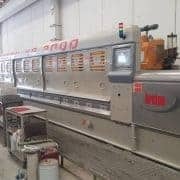 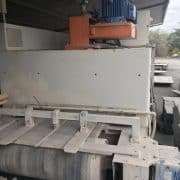 These machines are automatic multihead polishers which differ depending on whether the working marble or granite, and depending on whether they can work the tiles, strips or the slabs . 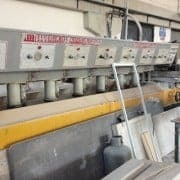 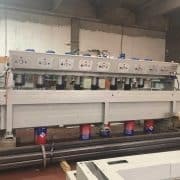 Tiles polishing line machines generally have a group calibrators integrated on the same line and differ for the maximum woking width. 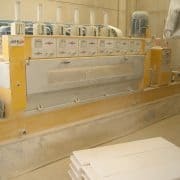 In our workshop we also perform fully reconditioning of any kind of marble or tiles polisher. 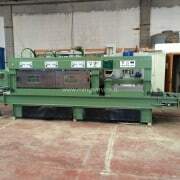 Calibrators: #1 Polishing heads: #8 Useful width: 450 mm The machine has been completely reconditioned in our workshop. 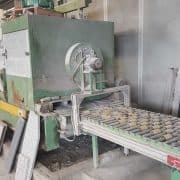 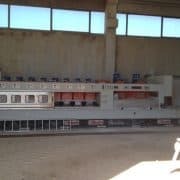 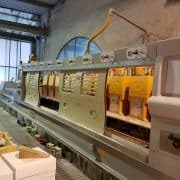 N° polishing heads: 16 N° 2: Conveyor rollers N° 1: Loading system robot with a rotating platform N° 1: Unloading system robot with a rotating platform The polishing machine is in good working condition and full working. 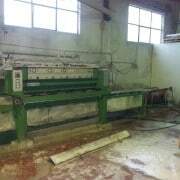 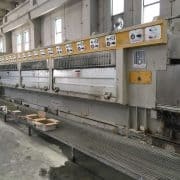 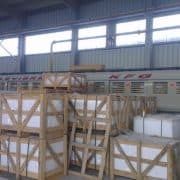 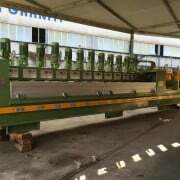 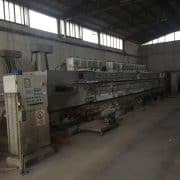 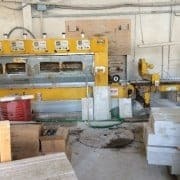 Used polishing line machine for granite slabs. 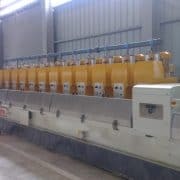 The polisher is still installed and in perfect working conditions. 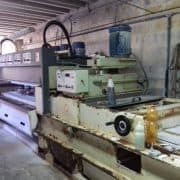 Machine has 2 bridges and total 22 polishing heads. 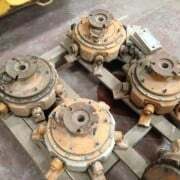 Type: Diamond Fickert Heads 4 available. 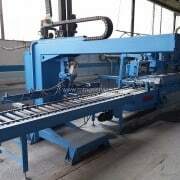 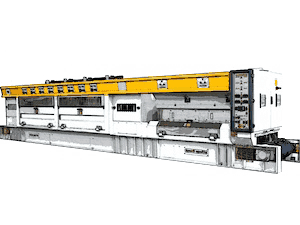 Max useful width: 2050 mm Max working thickness: 110 mm Min working thickness: 10 mm Loading and unloading system N° polishing heads: 13 The machine worked for several months.